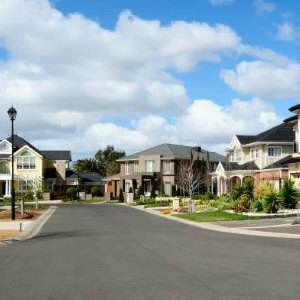 New research from RiskWise Property Review has identified the suburbs located in NSW, Victoria, Queensland and Western Australia, the most and least risky to buy off-the plan (OTP). The best suburbs for OTP property are Kellyville in NSW and North Geelong in Victoria. Manly West and Redbank Plains in Queensland are the least risky suburbs for houses, while Randwick, Lane Cove and Miranda in NSW and Brighton in Victoria are the least risky for units. The worst suburbs for OTP property, which the report referred to as the “top 10 danger zones”, are Waterloo and Parramatta in NSW; Brisbane City, Fortitude Valley, South Brisbane and Chermside in Queensland; Melbourne, Southbank and Docklands in Victoria and Perth in Western Australia. The research also revealed houses are typically better investments than units for OTP purchases, and buying units off-the-plan in any capital city is risky. “Currently, more than 300,000 units are in the pipeline and are planned to be completed in the next two years,” RiskWise Property Review founder Doron Peleg said. While houses in capital cities are less risky than units, Mr Peleg said any OTP purchase is risky, providing lower returns when compared with existing property. “In addition to the typical risks associated with an existing property, an OTP property is also exposed to a settlement risk and to a significant sudden addition of new dwellings, mainly investment properties, into the area,” he said.